Kendra from Luv 2 Scrap 'n Make Cards here today to share a fun card with you! Up again this week, I have another Halloween card! This week I used the the Spider Web (G379) and Itsy Bitsy Spider (AA23) as my main image! I combined the two images, by drawing a line from the spider to the web! I also used a gelly roll pen, in black, to add shimmer to the web! 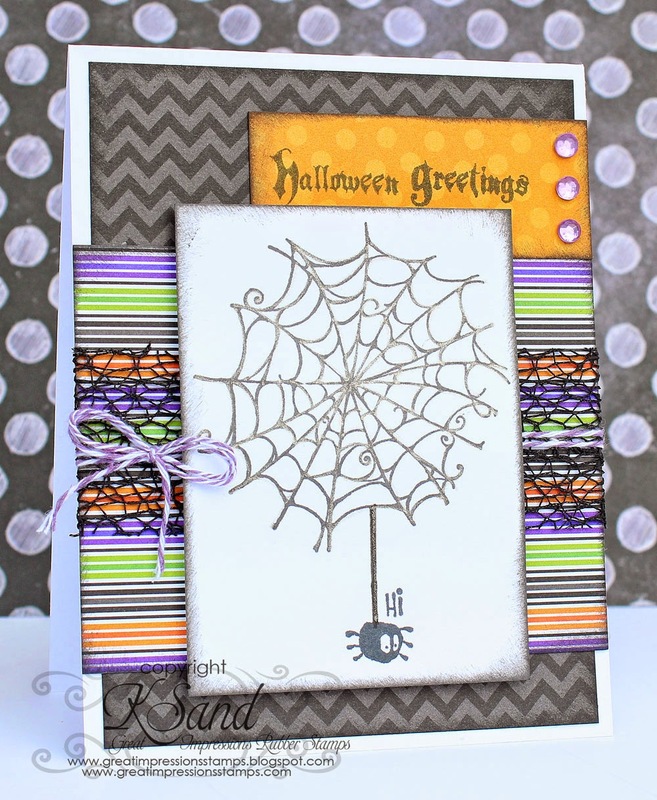 For my sentiment on top, I used the Halloween Greetings (A134) stamp!